Web Services will continue to make progress as a tool for real work. Web technology evolves and adopts new uses, applications and become more innovative. 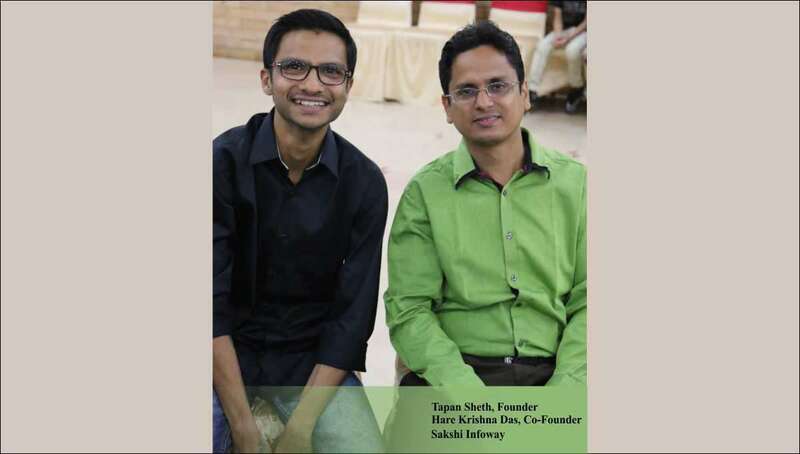 Mr. Tapan Sheth, founder and Mr. Hare Krishna Das Co-founder of Sakshi Infoway, venture a firm in 2002, later on in 2006 they convert Pvt Ltd. called as Sakshi Infoway Pvt. Ltd. and Webzguru Inc, webzguru is the sister concern of Sakshi Infoway Pvt. Ltd. The firm provides excellent web services, growing rapidly and they can rejoice their triumph over their competitors. Company started with 3 employees and with the support of each employee and partners Sakshi Infoway is at on top in Saurashtra region, with 75+ employees at the moment. Sakshi Infoway, a company based in Rajkot, GJ focused on web design services, web development, php , Joomla development, CMS development, iPhone and Android Applications, SEO, e-Commerce etc. We have been developing creative and customized mobile applications depending on the needs of our clients. Our mobile applications have been helping our clients effectively reach out to their customers and hence helping them improve their business. At Sakshi Infoway, professional developers can construct effective Facebook applications for services, such as promotion of your business network, updating your client database, achieving high traffics towards your business website. Proper and efficient SEO can get you more business and improper SEO may bring you down in search engine rankings and may even get you blacklisted from search engine. Sakshi Infoway ensures to provide neat and clean SEO services, include white hat techniques only. Company does not believe in selling through black hat or grey hat methods. Along with that company gives different and customized corporate identity design brochure for small and large scale businesses. Websites apart, having a good brochure is also important for sound marketing. Web services have evolved as a practical, cost-effective solution for uniting information distributed between critical applications over operating system, platform, and language barriers that were previously impassable. Whether it is website development or CMS services or software development for different purposes, company stick to our commitment and deliver the projects to the clients within the deadline. Commitment to provide great customer service, experienced design team can work closely with customers to fulfill all design requirements. Company vision is to become a leading IT company globally, aim to provide sent percent client satisfaction with high quality services.